Noble Blacktop Corp.is proud to serve residential, commercial, and industrial customers throughout Chicagoland's west and southwest suburbs. 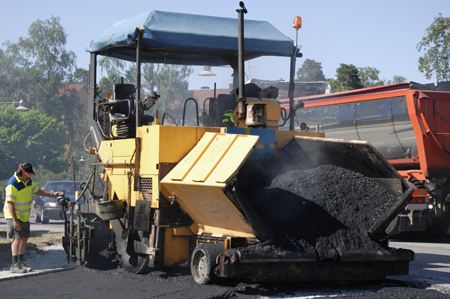 We specialize in asphalt services, the installation and repair of blacktop driveways and parking lots. We also provide resurfacing and sealcoating. Our service areas include: Hinsdale, Westmont, Clarendon Hills, Downers Grove, Naperville, Plainfield, Woodridge, La Grange, Burr Ridge, Addison and the west and southwest suburbs. Nothing enhances the look of your property like a well-maintained asphalt surface. Our experienced professionals can provide asphalt installation for your driveway or parking lot that will impress everyone in your neighborhood. • Removing existing blacktop or cement driveways and installing a new blacktop. • Resurfacing existing blacktop or cement driveways with 2" of blacktop. • Grading stone driveways and installing a new blacktop. • Digging out grass or dirt areas to install a new blacktop. • Sealcoating existing driveways and parking lots. • Sawing, cutting, and repairing areas that need to be patched.